In 2013 Raila odinga was a front runner and if all factors were held constant he was set to win the elections by a great margin going by opinion polls. But mutahi ngunyi came along and said opinion polls don't matter but tyranny of numbers will carry the day.And true to his word Kikuyu and kalenjin community turned out in large numbers and Uhuru won. Maraga nullified Uhuru Kenyatta win on September 1, what most don't know is mutahi ngunyi had predicted that maraga will nullify the elections and try to orchestrate judicial coup. 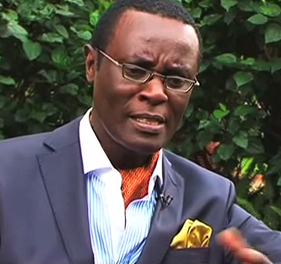 Mutahi ngunyi predicted that the new constitution will be unbearable and wage bill will rise to greater margin. 7 years later it has manifested itself and Kenyans cannot contain the wage bill which has risen to greater margins.